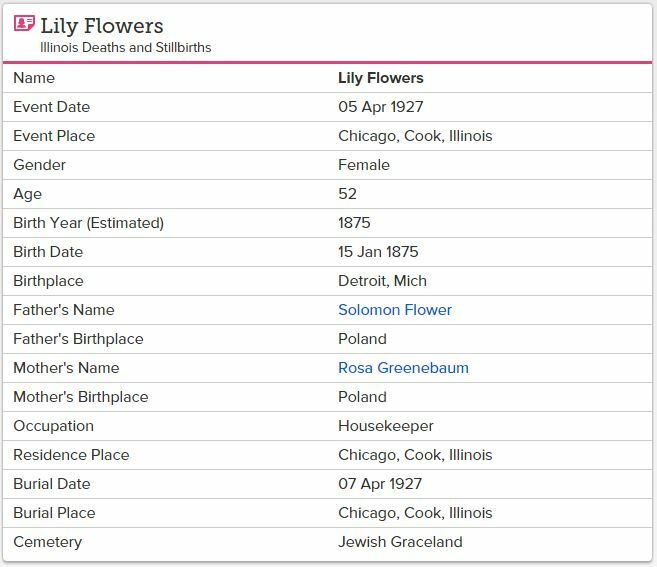 I’m a bit confused about Lily and her relationship to the Flower family. 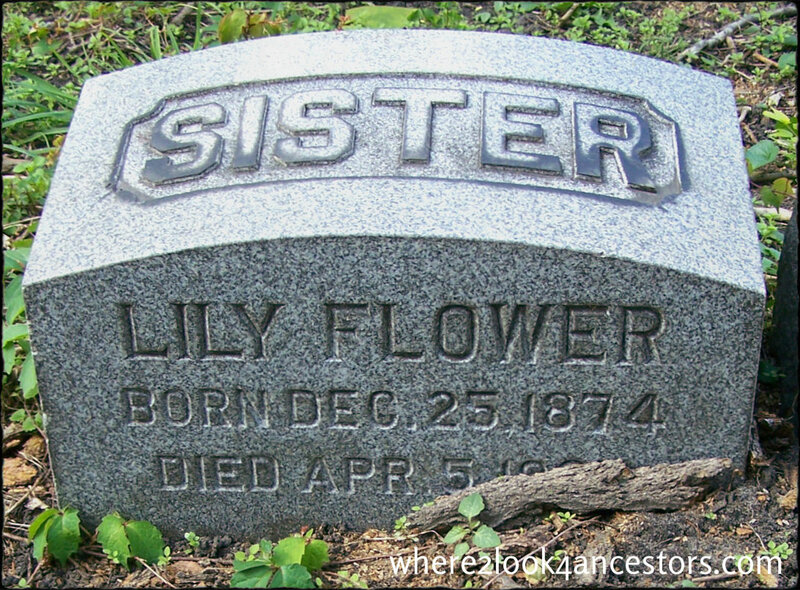 Lily is buried in the center of the Flower family plot in Jewish Graceland Cemetery on Chicago’s north side. There is a record of her death on FamilySearch that seems to confirm her parents are the people named on the largest headstone in the same family plot. But the birthdate on her headstone and the birthdate on the death record are different. 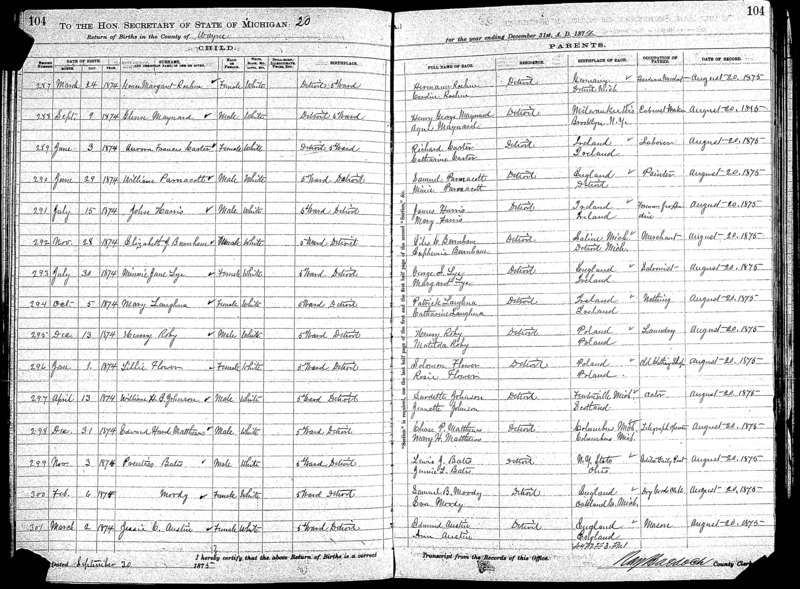 The 1880 census should help clarify which date is correct, but instead it adds to the confusion. There is no one in the family that fits the known facts about Lily who, in 1880, would be a six year old girl. 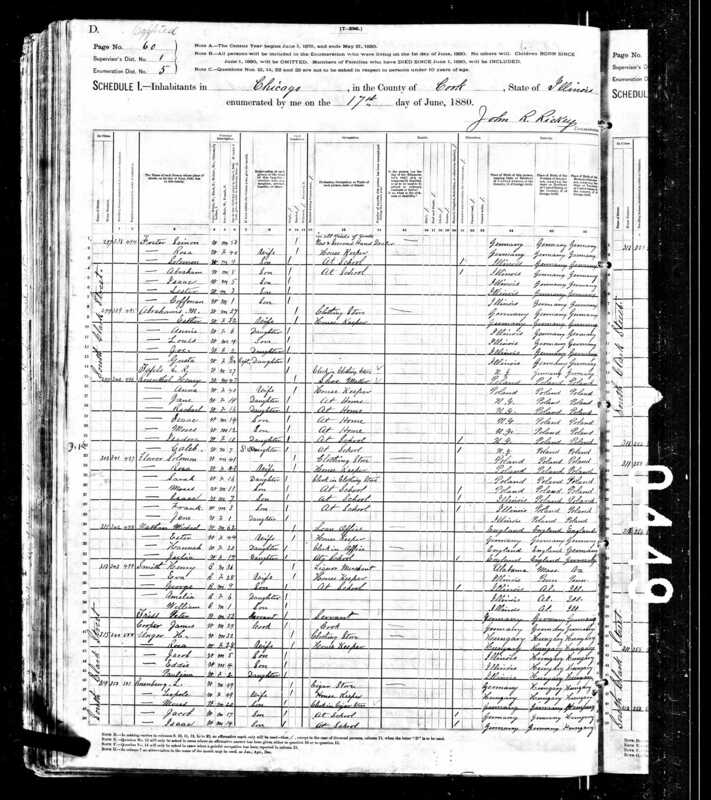 I wondered if birth records were available in Detroit in 1874 or 1875. FamilySearch came through here too, but again the plot thickened. The possibilities for Lily’s date of birth have now risen to three. If Lily was a leaf in your family tree, what would you do next? Who Owns this Jewish Cemetery? Well since the departed never talk to me I would try to find an obituary. It may help clear up a few items for you. Great idea! I guess since Lily isn’t a relative, I hadn’t looked for an obituary for her. But the mystery needs to be solved, so I’ll give it a try! Not exactly – but sometimes if I can’t find a grave I am looking for I will ask the departed for help. Once I was looking and looking for a grave with no success. I was carrying a spade with me to edge around the stone when I found it. I finally asked the departed for help and when I set the spade down it went “klunk.” The stone was completely buried and I put the spade down right on top of it! Now that’s help!! Never doubt that sometimes there are holes in the curtain between this world and the next. My cousin is a graver and the departed talk to her all the time. Not long conversations but “Who are you?” and “Why are you here?” and “Go away!” Not all the departed but some, and not every time. So many similar stories came to mind when I read your comment! I’ve never been asked to leave, but once when my husband and I were taking headstone photos for Find A Grave, I heard “Oh, it’s you. You folks have already been through here.” Since it was our first visit to this rural Wisconsin cemetery, I took the “you folks” to mean Find A Gravers. And indeed as it turned out, we folks had been there. Like you, I’ve been pointed in the right direction on numerous occasions. Alone in each instance, guidance could only have come from the departed. Thanks for the nudge – you’ve inspired a blog post. 🙂 Stay tuned! Hold a seance and ask her. Have you had any luck with that technique in the past?